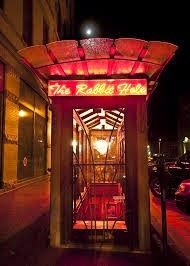 The Rabbit Hole is one of my absolute favorite restaurants ever! The atmosphere is trendy while still being cozy, which makes no sense but trust me. Right from the first moment you see it you know you're in for an experience. The door looks like the entrance to a subway station and is on the most random street downtown. It really catches you off guard if you're not expecting to see it. The stairs take you underground, through a curtain, and into a date/girls night paradise. 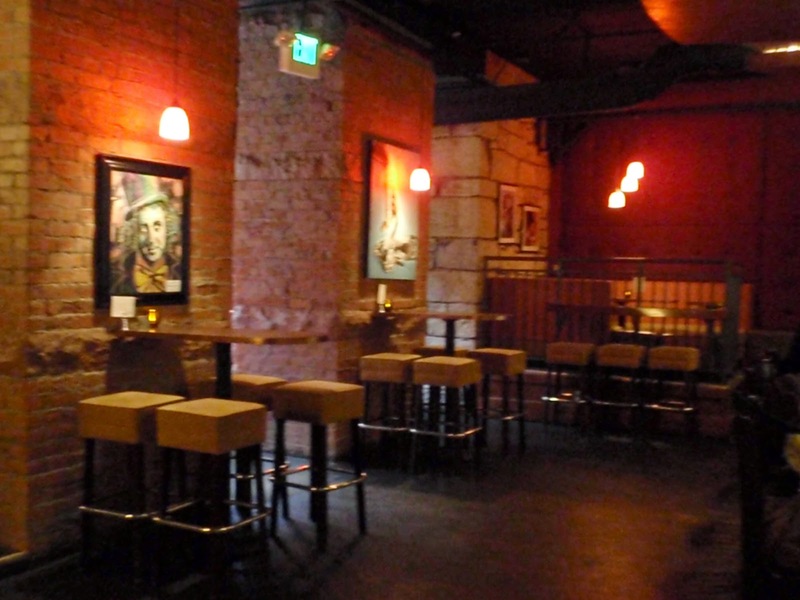 The walls are filled with paintings of white rabbits and the Mad Hatter. The menu has everything from delicious sweet, waffle fries with homemade ketchup to wild game. If you are a picky eater, it might not be the best place but you would love anything you try if you venture outside your comfort zone. After looking over the menu for a half hour, The Husband decided on a steak and I got the pork cordon bleu schnitzel. They were both delicious and filling but I still forced myself to have a slice of cheesecake for dessert. So if you find yourself in Colorado Springs and are looking for a fun and delicious dining experience, I suggest The Rabbit Hole over any other place. Just make sure you make a reservation because it gets pretty packed on the weekends.